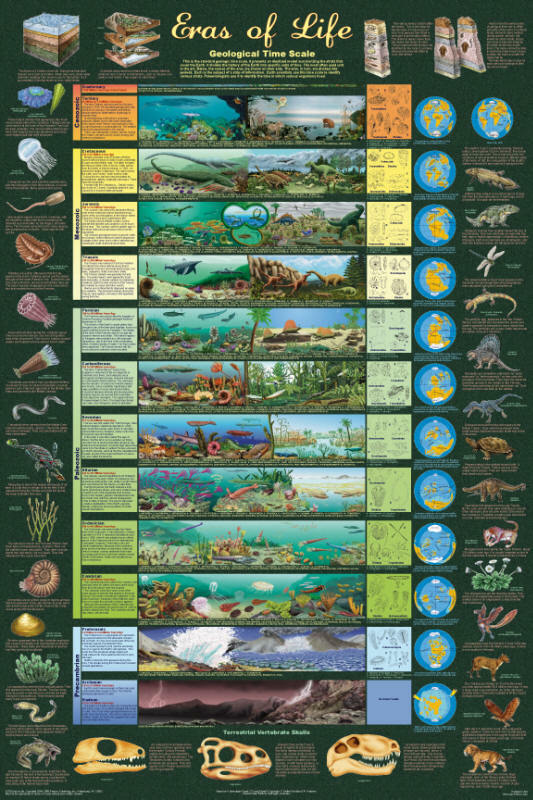 The geological time scale divides the history of the Earth into units of time based on layers of rock (strata). It is the very the foundation of earth science. Paleontologists use it to date when various species lived. This chart is essential to the study of both earth and life science. This new edition incorporates an abundance of additional information and illustrations. An introduction now explains what the geological time scale is, its significance and how it was created. The margins now introduce important groups of animals and plants. They complement the period illustrations that show how the species changed over millions of years. Updated graphics make it even more attractive.